I suppose I should be used to by now: A political party making statements that are demonstrably false. And yet it continues, perhaps because those that value the falsehood make political contributions in order to perpetuate it. If you tell a lie often enough, people will believe it. 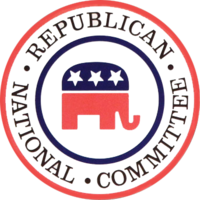 And so we turn to the Republican National Committee’s political platform and we look up what they have to say about tort “reform.” And what do we find? Rehashed falsehoods disproved by empirical evidence. Frivolous medical malpractice lawsuits have ballooned the cost of healthcare for the average American. Physicians are increasingly practicing defensive medicine because of the looming threat of malpractice liability. Moreover, some medical practitioners are avoiding patients with complex and high-risk medical problems because of the high costs of medical malpractice lawsuits. Rural America is hurt especially hard as obstetricians, surgeons, and other healthcare providers are moving to urban settings or retiring, causing a significant healthcare workforce shortage and subsequently decreasing access to care for all patients. We are committed to aggressively pursuing tort reform legislation to help avoid the practice of defensive medicine, to keep healthcare costs low, and improve healthcare quality. Lack of doctors in rural areas. First, frivolous malpractice suits are losers. Because of the contingency system, those lawyers that bring them are destined for bankruptcy. They are marked “no pay” by the insurance carriers, vigorously defended by some of the best trial lawyers around, and any one foolish enough to bring them will find himself at the door of the bankruptcy court. Are there occasional frivolous suits? Of course. In a nation of 300 million people you will find frivolous business suits (biz brings 4x as many suits as individuals), Orly Taitz birther suits, defamation suits and all other kinds. But there is no data to confirm that the isolated cases are a major problem for society. The issue is tough to study in the medical malpractice context by merely looking at medical records, since medical practitioners aren’t too keen on documenting their mistakes. Often, there is a simple question of fact for a jury: The patient says they made a complaint (lump in breast, floaters in the eye, etc.) and the doctor said not to worry. But a study was done that showed most malpractice suits came from very few doctors. The study has been around since George Bush was president, yet it doesn’t seem to stop the perpetuation of the hoax of a malpractice crisis. Next up, the concept of “defensive medicine.” That was disproved in a recent study in Texas, in which costs went up faster than the national average, despite brutal “reform” that closes the courthouse door to so many. Which brings us to the last claim, that of a lack of doctors in rural areas. Well, it seems that doctors (and many others) don’t like to live in rural areas and want to live in the big cities and suburbs. But that isn’t because of malpractice cases. This too, was disproved by the Texas 2003 experiment in “reform, as more doctors did not come to Texas on a per capita basis in response. Bashing lawyers is fun for the general public, because when we set forth the evidence in response to false statements we sound, well, like lawyers. I’ve written before about the savage Texas medical malpractice “reform” that was implemented in 2003 and its inherent injustice. The premise was that if the state capped pain and suffering awards at $250,000 for doctors (no matter how many were liable) and $250,000 for hospitals, it would encourage more doctors to practice medicine in Texas. The cap was nominal, meaning it was not adjusted for inflation, so it remains at that stagnated level. Now there is a study that debunks the premise of that so-called reform. And even tort “reformer” Ted Frank agrees that the report is so damning that he will no longer cite Texas for the proposition that such reforms will lead to an increase in doctors in the state. 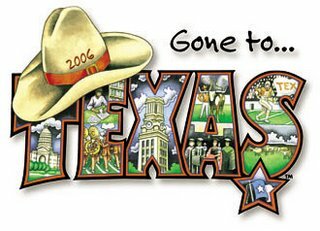 Before Texas adopted tort reform in 2003, proponents claimed that physicians were deserting Texas in droves. 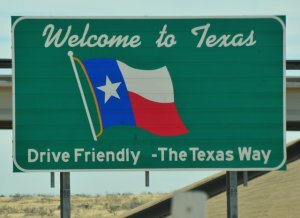 After tort reform was enacted, proponents claimed there had been a dramatic increase in physicians moving to Texas due to the improved liability climate. We find no evidence to support either claim. That is a big, fat ouch for those that have supported government protections for tortfeasors. The $250,000 cap that was enacted back in 2003 did have some affect, of course. It cut down medical malpractice payments by 70% and premiums by 50%. But this wasn’t the reason for the changes in the law, since claim payouts had been stable for the preceding decade. But claims will clearly drop under such circumstances as cases are difficult and expensive to bring, and if it isn’t a economically viable to bring the suits, lawyers won’t take them. It isn’t easy to risk tens of thousands of dollars of your own money and hundreds of hours over many years if the case isn’t substantial enough. The rent still has to get paid, as does the secretary, and the lights need to be kept on. Proponents argued that physicians were fleeing Texas because of lawsuit risk and high insurance premiums, but would stop leaving if the state adopted the reforms. After the reforms took effect proponents asserted that the reforms brought new physicians to the state in droves – a more impressive result than they originally predicted, which was only that doctors already in Texas would stay put. There is no evidence that the number of physicians per capita practicing in Texas is larger than it would have been without tort reform. The evidence has been brewing. 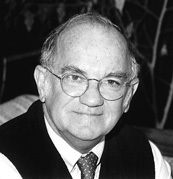 In 2007, four years after reform, the Texas Observer ran a piece discussing the nonsense that was sold to voters by the insurance industry to get the bill passed, claiming that “doctors were fleeing Texas, leaving scores of counties with no obstetricians to deliver babies, no neurologists or orthopedic surgeons to tend to the ill.” This wasn’t true. Doctors to deliver your babies or lawsuits, they argued, which would you like? And you know what? Four years after the “reforms” were passed there were still 152 rural counties without an obstetrician. Because it seems that doctors, like many other professionals, happen to like living in urban areas. The reports of an increase in doctors attributable to tort “reform” that came out, and are often echoed in Congress by advocates of establishing federal standards over the state tort systems, have not been accurate. The authors attribute this to the fact that the number of doctors going to Texas was rising before 2003 (as was the population as a whole), that researchers at universities should not be counted as they are unaffected by the issue, and that there was an increase in medical care after Hurricane Katrina in 2005 as people relocated. When making the case for lawsuit restrictions and when claiming enormous post-reform success, the identified speakers made statements that were false. And, not just garden variety false, but “liar, liar, pants on fire” false. And that my friends, is a whole lot of false. The report is filled with facts and figures that shows that in the post-reform era, Texas has actually done worse at attracting doctors then the rest of the nation. Not better. And not even the same. I end on this note: As I type, Republicans in Congress (it is always those that claim they want limited government that do this) seek to expand federal power and put nationwide damage caps in place. One of the prime reasons is that were used in Texas. And those that were used in Texas have now been debunked. (P.S. For those that want to shift the argument to arguing that such reforms will lower health care costs, well, it doesn’t do that either. I covered that last year here: The Failure of Medical Malpractice Caps (Healthcare Costs Rise in Texas). There was something deeply troubling about the reaction to Texas Gov. 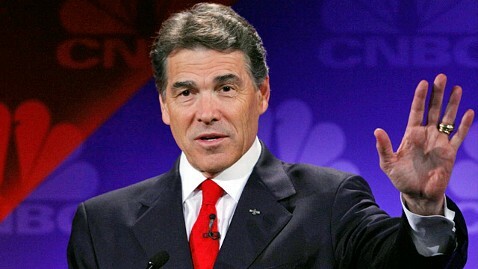 Rick Perry’s brain fart the other night during the Republican presidential debate. He said he wanted to whack three different federal agencies — Education, Commerce and Energy, but couldn’t remember Energy in the glare of the lights and pressure of the moment. He froze, and people have been yapping about the freeze ever since. In chattering about the freeze, of course, commentators mostly missed the opportunity to talk about the substance of what he was proposing. The superficial trumped the substance. Yes, I know this happens all the time in politics, as it is easy for everyone to talk about a brain freeze while it might take some real thinking to discuss substance. I felt bad for Perry, even though he isn’t my cup of tea. Anyone who talks in public — and trial lawyers do this so that is where I am going with this post — knows that this can happen. That’s why we work from notes. But working from notes necessitates striking a balance. Because you never want to read to a jury or an appellate bench, unless you have to exactly quote something. If you put your nose in your notes, you lose the attention of the listener. So more notes means less likely to forget something, but also the danger of losing your audience. And vice versa. This is Trial Practice 101. So we try to strike that happy balance. For me, when I open to a jury or make an appellate argument I try hard to use a rough outline that does not exceed one page, 14 point type. I use it to glance at. Summations are similar, except that I will read a few trial transcript bits to the extent I think critical. And I always apologize to the jury for reading. In cross-examination, of course, you have to wrestle not only with what you want to bring out to the jury, but with what the witness is trying to do. Notes become even harder to use in that situation. And it is easy to lose a train of thought and suffer the dreaded brain fart when dealing with the subject matter, the witness, the form of and the question. You need to focus on the big picture and the nitty gritty at the same time, as well as the next line of questioning that you want to lead the witness to. Yeah, that takes practice. Which brings me back to Perry. When you walk on a high wire those kinds of flubs can happen. But I wouldn’t want a juror to judge my case if it happened to me, and I don’t think folks should judge Perry based on his. Critique the substance, not the style. 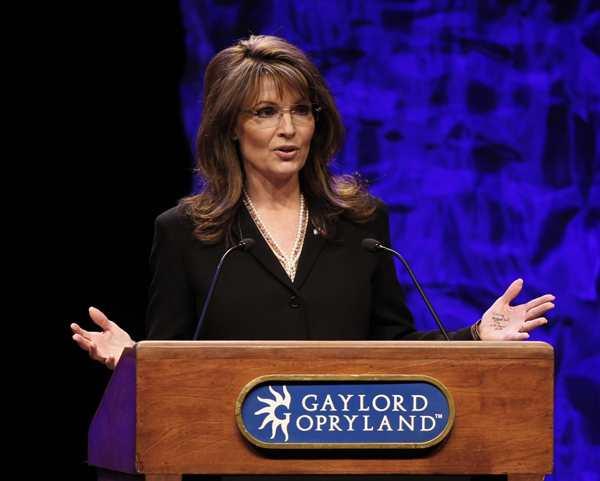 Of course, if the points are really, really important, you might want to follow the Sarah Palin method, and write them down on your hand. I think I’ll file this one under Trial Practice. Public Citizen released a report this week on the abject failure of a $250,000 medical malpractice cap put in place by Texas in 2003. Why is this is important? Because as I discussed two days ago, so-called conservatives are trying to expand federal power to implement a similar scheme on the federal level. So it’s important to note that such a scheme fails not only on the constitutional level as viewed from exercising federal power over state claims, but that it fails on a state-wide level as well in that it does not lower healthcare costs as it was intended to do. It may lower the number of malpractice suits by its grant of protections and immunities to those that negligently injure others, but it doesn’t improve healthcare costs. The prevalence of physicians in non-metropolitan areas has declined. So the bottom line is this for medical malpractice caps: Injured people have the courthouse doors slammed in their faces; Those that are negligent are protected; There is zero benefit to the public at large; And insurance companies pocket most of the difference. In my blog roll off to the right under “Legally Humorous” sits a link to Say What?, a little Texas law blog from US District Court Judge Jerry Buchmeyer, who died Monday at 76. But I didn’t add him to my blog roll and RSS feed to read about Texas law. I tuned in because he had a great collection of trial and deposition snippets that, when you read them, were sure to lift your day. And to warn you about engaging the mouth before engaging the brain. Oddly enough, though he died Monday, he has a post dated today (reprised from 2001). So somewhere up in the Great Beyond, Judge Buchmeyer must be laughing a little. And as long as Judge Buchmeyer continues to post, I’ll continue to keep him in my blog roll. Q. You recall testifying as to a seven or $800,000 figure concerning Roseneath yesterday? A. Whatever the record said. Q. You recall discussing a seven or $800,000 contribution to GRI by Roseneath? A. And I said whatever the record said. Q. You don’t recall that right now? A. I said whatever the record said. Q. That’s not responsive. Do you recall? Q. Read mine. Do you recall? A. Look at me again, read them real careful. Mr. Butler (wisely): All right. Gentlemen, I guess that’s about enough of this. It’s easy to watch an hour disappear just roaming through his archives reading some of the transcripts that people had sent him over the years.